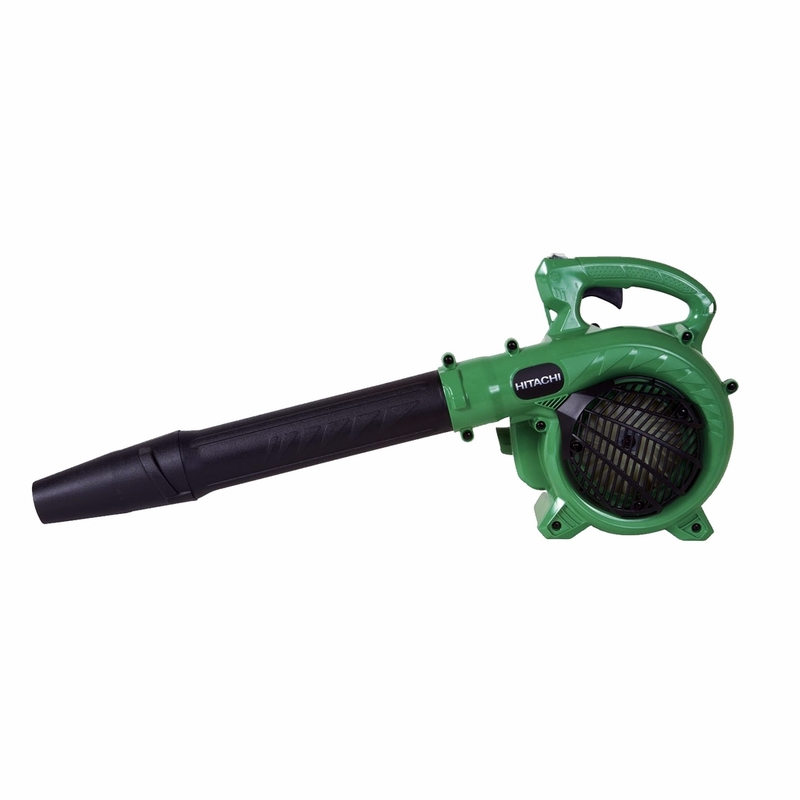 Built to make quick work of big cleanup tasks, the Hitachi RB24EAP Handheld Blower uses a 23.9 cc commercial-grade engine. It features PureFire low-emission two-stroke engine technology, a large two-finger throttle lever, and an auto-return stop switch. It offers an air volume of 441 cubic feet per minute and delivers air speeds up to 170 miles per hour for effective debris removal. Dimensions (WxH): 8-5/64" x 13-25/64"
After our 30+ year old blower died, we did research for a new blower and this had the best reviews and Tools Plus the best price. My husband had it up and running within a minute after unboxing. He was very happy with the quality of the product and the fast shipping from Tools Plus! ProsLightweight, powerful, easy to start! ProsLight, easy to start and operate. ConsNozzle assembly is difficult, nozzle could have bee longer. This a a great blower for the money. Does a terrific job cleaning up leaves, grass clippings and debris from the driveway and yard. Easy to start everytime on the 1st pull and lightweight. Highly recommend the unit as well as tools-plus as the seller. The blower started easily right out of the box. The Hitachi clears debris way faster than the worn out Homelite it replaced. There is a slight vibration or buzziness felt in the handle after using it for only a short period of time but that is to be somewhat expected with little two cycle engines. I only gave it 4 stars because I've only used it for three weeks, hopefully it lasts for many years without problems. Fast delivery, product is as advertised . Absolutely love this blower. Easy start and great power.....best gas blower I've ever purchased for the price.